SAT tutoring can be very competitive. The high demands placed on students to succeed at the SAT, formerly the Scholastic Aptitude Test, are greater than ever. This is true despite attempts to change admission standards and policies by many universities for several decades now. With increased pressure on students to do well on the exam comes increased stress for tutors to better prepare them for it. Increased demand, however, can also present increased opportunity. Set yourself apart as a tutor by giving your students the advantage of timed practice with a simulated test environment. As you already know, timed practice under realistic conditions is one of the best ways to prepare for standardized tests. SimuGator has developed a realistic full-length reproduction of a proctored SAT examination. 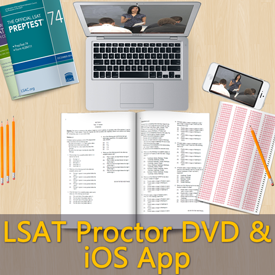 Use SimuGator’s SAT Proctor DVD along with SAT Practice Tests to give your students realistic SAT test practice from their own homes at their convenience. The proctor indicates when five minutes are remaining in each section. In addition to five-minute warnings, the SAT proctor is firm and authoritative when a section’s time is up, asking students to stop working and put their pencils down in a realistic manner. Time between sections is also realistic. The proctor will move at a swift pace to instruct students to turn to the next section, give brief instructions, tell them how much time they have for the section, and inform them when to begin. There is no need to have your students travel to faraway test centers for a single proctored test anymore. With the SimuGator SAT Edition DVD, they’ll be able to easily proctor their own tests whenever they have free time on their computer or living room TV. This value-add will help your students improve their scores and help you gain more recognition for your services from customers. Consider adding the DVD to your service package or recommending it to your students and their parents for self-practice between tutoring sessions. Have questions for us? Contact us here, or leave us a comment below. We love to hear your thoughts, and if you believe this article would be helpful to someone you know, please Like and share it.